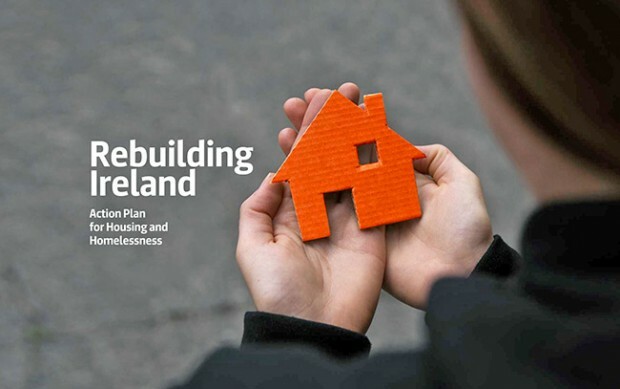 THERE has been a cautious welcome to the Government’s Rebuilding Ireland: Action Plan for Housing and Homelessness launched to much fanfare by Fine Gael Housing Minister Simon Coveney on 20 July. The Government says it will aim for 130,000 new homes by 2021, including 47,000 new social housing units. Utilising and renovating existing housing stock and vacant homes. Sinn Féin Housing spokesperson Eoin Ó Broin TD – who also sits on the Dáil Committee on Housing and Homelessness – welcomed some measures contained in the “Rebuilding Ireland” document but says, overall, it is “still not good enough”. The Dublin Mid-West TD says the social housing targets are not ambitious enough, noting that plans to produce 6,000 new social housing units per year fall 40% short of recommendations. “It’s far lower than the annual target proposed by the Dáil Housing and Homelessness Committee of 10,000 real social housing units a year which, if adopted by the minister over six years, would have delivered 60,000 units,” he said. Junior Housing spokesperson Dessie Ellis also questioned how realistic Government plans are, noting the reliance on Rapid Housing Build – a programme that caused problems for the previous Government when used on a smaller scale. “The plan is unclear whether the tenants moved into these rapid housing units are there on a temporary or permanent basis. Adding to that uncertainty is the number of finished units in three years can be seen as unrealistic, especially compared to experience of the previous plan,” he said, referencing the much-criticised modular homes in Ballymun which were far more expensive than initially predicted. Eoin Ó Broin told An Phoblacht that many of the measures are “too timid” to address the crises in the state. 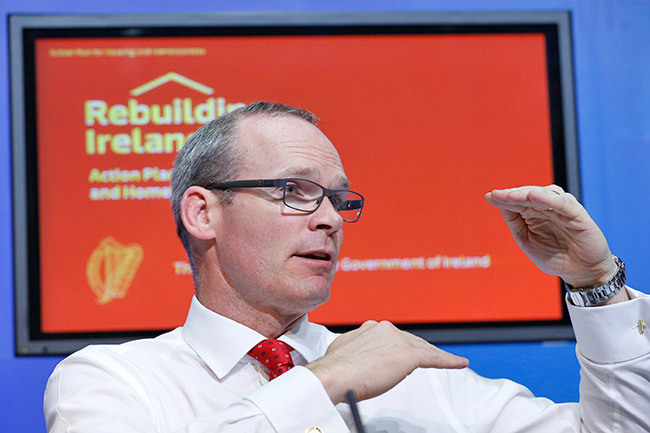 He also criticised Minister Simon Coveney for “playing around with figures” after he claimed his new plan included an increase of €2.2billion for social housing by 2021. 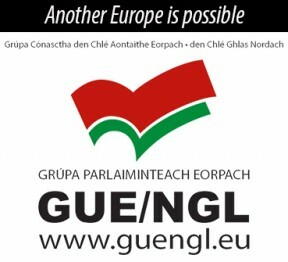 Eoin Ó Broin told An Phoblacht that in some areas of the plan, the Government clearly has not done enough. “For example, they’ve kicked reform of the private rental sector into touch until autumn. Overall, the core social housing and funding target is not enough. There are some positive steps, particularly in the area of homelessness and in areas to protect families, such as those facing eviction in Tyrrelstown after their rented accommodation was purchased by a vulture fund, but again these measures are timid and there simply isn’t enough action,” he said. Sinn Féin Finance spokesperson Pearse Doherty accused the Government of performing a U-turn on commitments it had given to those in mortgage arrears by dropping a commitment to a dedicated new court for arrears cases and a promise to amend the Code of Conduct on Mortgage Arrears.